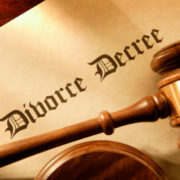 Tampa Divorce & Family Attorney Archives | Florida Law Advisers, P.A. Unfortunately, without a way to enforce it, judgements can sometimes feel like they are worthless. However, Florida alimony law does provide for a variety of ways to enforce judgements, including garnishment. In garnishment cases, the funds go directly to a third party rather than their original recipient. Thus, alimony can be forwarded directly to the former spouse from the employer. According to Florida Alimony Law §61.12, garnishment can be utilized to enforce marital support obligations including both alimony and child support. The process of obtaining the alimony garnishment can be complex; however, a divorce attorney in Tampa can help. If you are not receiving the alimony you are owed, contact a divorce lawyer in your area for assistance. 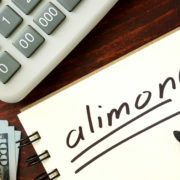 A lot of myths circulate about garnishments for alimony orders. Many people hear that only child support payments can be garnished from wages, but that is not the case. Both forms of support are eligible for garnishment. Plus, it is not only wages: for example, in Florida alimony garnishment case, City of Miami v. Spurrier, the court ruled that pensions could also be garnished for support. Further, spendthrift trusts, which are specifically designed to protect the trustee’s assets from creditors, can be garnished to satisfy alimony payments. 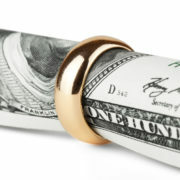 See Florida alimony garnishment case, Gilbert v. Gilbert. Many people who are not experienced divorce lawyers may think that there is a “loophole” which allows anyone to get out of a garnishment order. It is true that there is a “Head of Household” defense to garnishment under Florida Statute §222.11, and about twenty years ago it was used to ensure that if a previous spouse who was ordered to pay alimony had dependents, the garnishment could be prevented. However, the exception was revised to provide for alimony, regardless of head-of-household status some time ago. Don’t rely on what happened when your friend, brother or sister attempted to enforce a provision for alimony. Talk to an experienced divorce attorney in Tampa to help you determine what will work best in your individual circumstance. Florida Law Advisers, P.A. hasyears of experience in both advocating for and against a Florida alimony garnishment. Our divorce lawyers in Tampa know what factors are important to Florida family law judges and aggressively fight for our client’s rights. 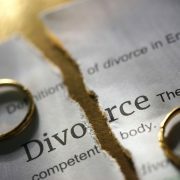 If you would like to speak with a divorce lawyer in Tampa call us today at 800 990 7763 to schedule a free consultation.